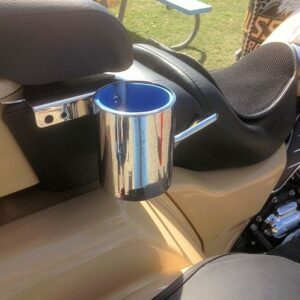 Our real chrome motorcycle cup holders are not like those cheap plastic imitations. 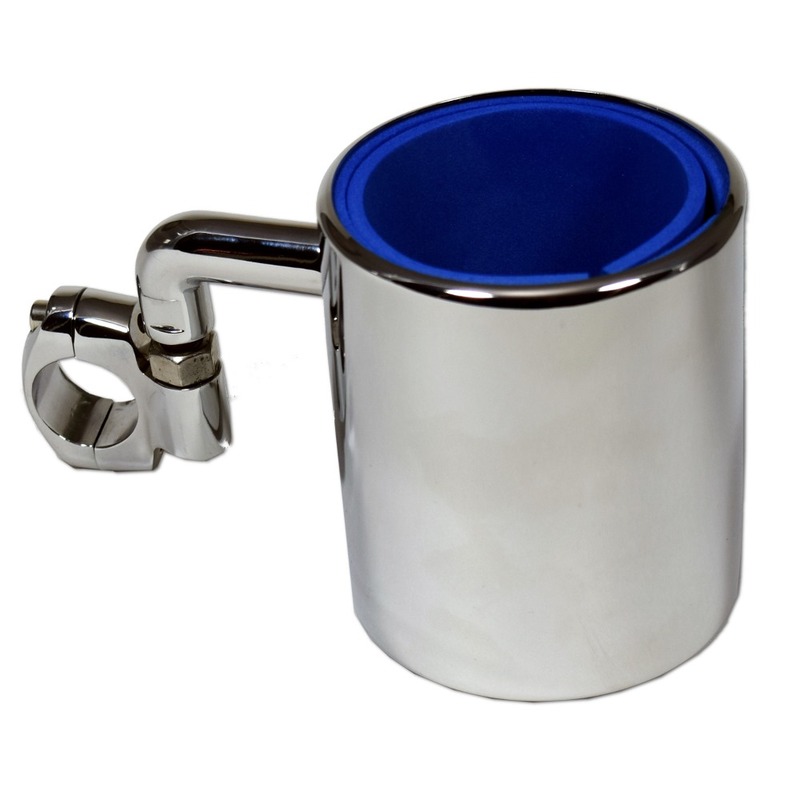 Why settle for inferior chrome plated plastic when you can have genuine high quality stainless steel? We make our motorcycle drink holders out of high quality, chrome plated, solid stainless steel. 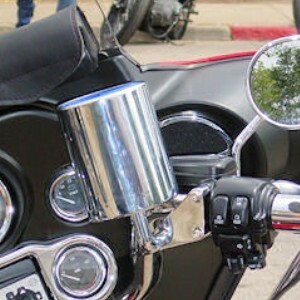 They won’t crack; they won’t rust; and they won’t scratch. As a result, they are virtually indestructible. 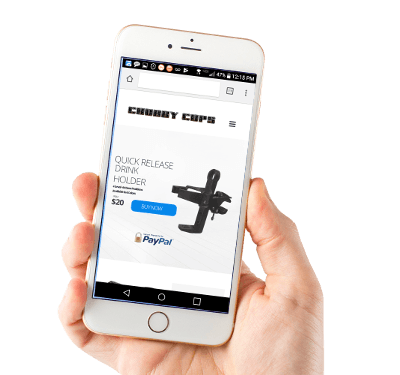 Check out our latest review in Thunder Press. 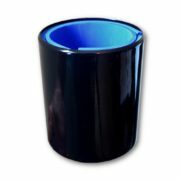 Shipping as low as $5! 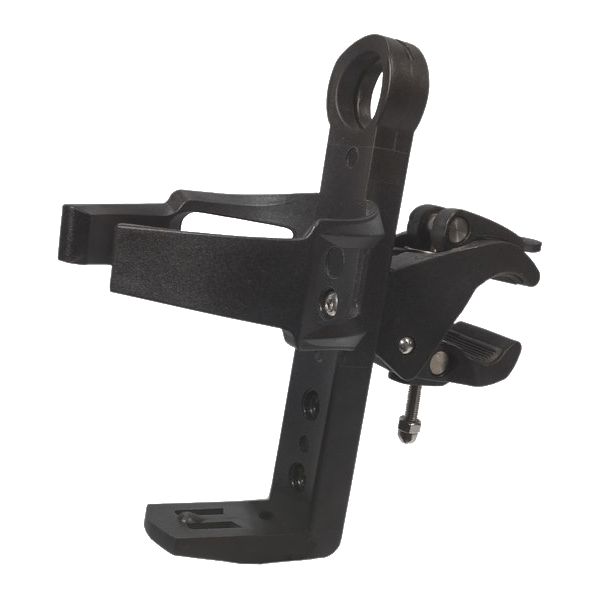 For a perfect fit every time, we designed the mount with an adjustable metal clamp and elbow. 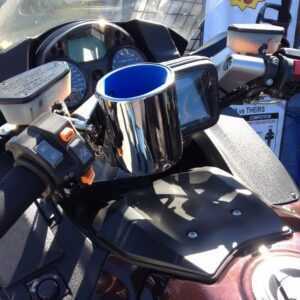 Due to this, it can be installed on any bike. 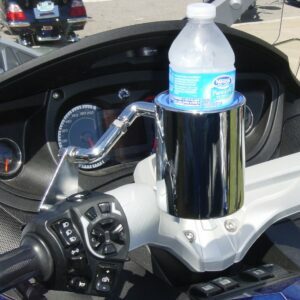 In addition, we devised a replaceable foam insert system that will accommodate any standard size bottle or can and acts not only as a stabilizer against spills but also keeps your favorite beverage ice cold for those hot rides or piping hot for those cool fall and winter outings. 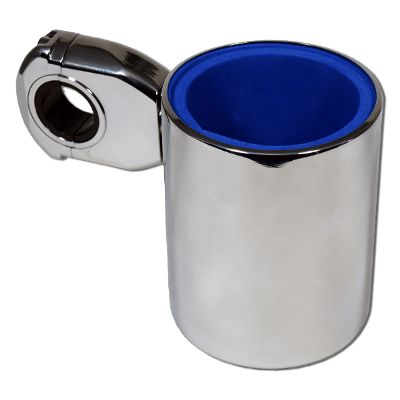 The triple plated chrome finish on these stainless steel cup holders will match any color bike perfectly and the smooth surface will shine for years. They are perfect for coffee cups, water bottles, soda cans and even your favorite fast food soft drink cups. 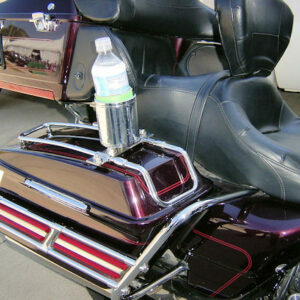 It can also accommodate many oversized bottles. This is by far the highest quality cup holder you can buy for any motorcycle. In addition, check out the newest additions to our product line. 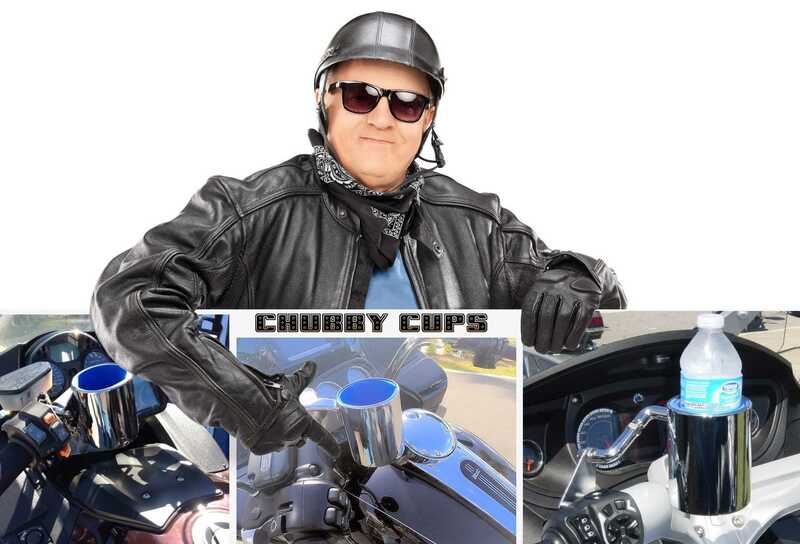 They include a drink holder for the Harley Road Glide, the Tour Pak, either will mount on the left or right side, and the Spyder, which attaches to the left side perch. We are proud to announce our NEW Universal GPS/Phone Mount. 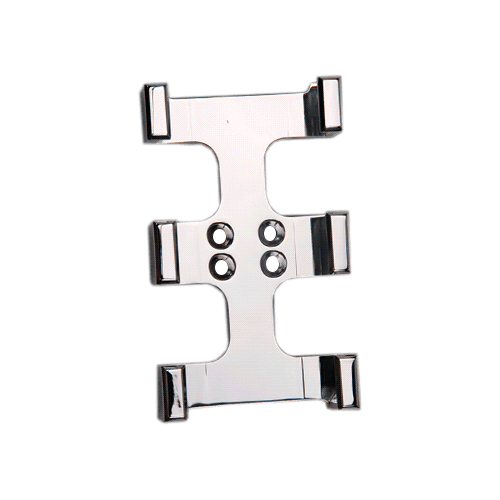 This is the only product to meet our quality standards. 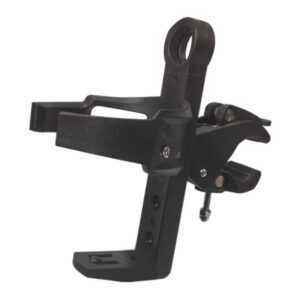 It mounts securely to your bike or ATV. 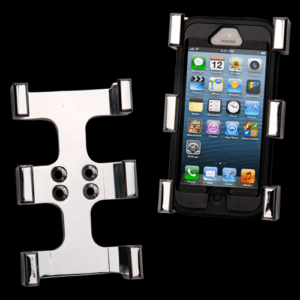 It is adjustable so it fits your phone like it was custom made for it. 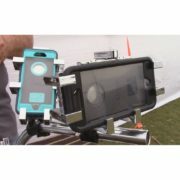 Never worry about losing your phone. 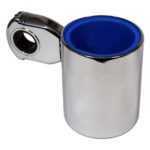 It is made of highly polished chrome and is a great looking addition to any motorcycle. 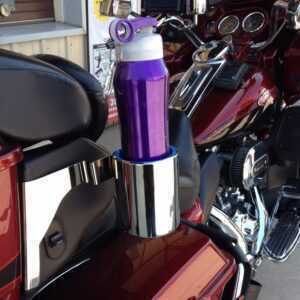 Rigid Drink Holder -’14-UP Ultra & Street Glide NEW!